Taxicab is an important mode in urban transportation system, while the role of taxicabs, especially the relationship with metro system has not been fully studied. 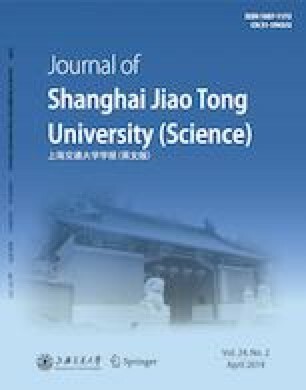 This study aims at exploring the factors influencing the role played by taxicabs in Shanghai, China. Firstly, taxi trips are categorized into three types, namely metroreplaceable (MR), metro-extending (ME) and metro-supplement (MS) ones. Then, the tendency of travelers towards taxi or metro at a specific metro station is proposed and calculated on the basis of MR taxi trips and metro trips. Factors influencing the tendency are investigated through semi-parametric regression models, with the results indicating that the most significant factors and the influencing radii during the peak and off-peak hours are different. Some built environment factors, such as the number of hospitals and government agencies, have significant positive relationship with the tendency in the time periods. Furthermore, land use related factors, such as the increase of forestry and commercial land, generally promote taxi-hiring in the off-peak hours, while they have a negative impact during the peak hours. Findings of this study can assist governments and policy makers to understand the impact of built environment and land use on trip patterns, and thus may contribute to more reasonable policies and optimized urban planning, which may promote modal switch from taxi to subway.